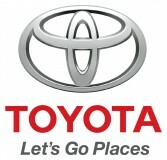 Find a new car near Wilmington, DE on YaSabe. Use our website to find new cars and get new car prices. You can also choose from any of the following links to help in your search for a new car. Spend less cash for a better car with a used car near Wilmington, DE. Browse used cars and dealers near Wilmington, DE on YaSabe. Narrow your search criteria to find the right car for you. Read about different car models and compare cars side by side. Search millions of cars to find the best used car near Wilmington, DE, new car near Wilmington, DE or certified car near Wilmington, DE for you. From private sellers to dealers, your gateway to the car you need and want is a button away. Shop from your entire range of options with one search.